April 19, 2014 from 11 a.m. to 2 p.m.
Don your best Sunday attire and Easter hats to attend a fun family event that's a signature spring tradition. On Saturday, April 19th, the Easter Bunny will greet families in the vibrant downtown area at City Park Holiday House. Located at the intersection of Park and 12th Streets, you won't miss this popular spot surrounded by the city's best restaurants and shopping spots. Enjoy an excellent meal at Artisan, a local favorite serving contemporary American cuisine. Or, satisfy a craving with the eclectic mix of eats available from Italian to Thai, French, Vegetarian, wine bars and coffee shops. From 11 a.m. to 2 p.m., the star of the spring season will be greeting the little ones with a special offering - brightly colored Easter eggs. Be sure to bring your camera or smartphone to snag a snapshot of this memory in the making. A photo with the Easter Bunny is sure to stay a favorite for many years to come. It is also the perfect souvenir to share with family and friends following your trip to the Central Coast of California. The free, family-friendly event is sure to add some festive fun to your springtime escape. The kids will delight in this spectacular scene of festive fun. The grownups can create a brand new holiday tradition that the whole family will love. 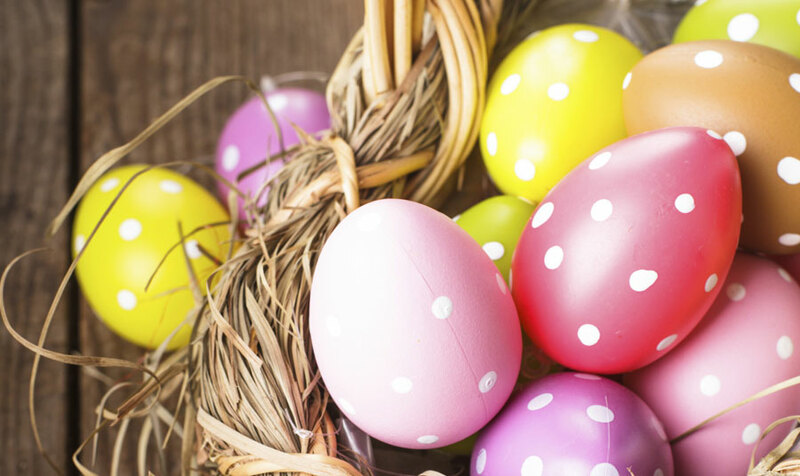 To start planning your Eastertime excursion, reserve your stay at our cozy and conveniently located Paso Robles hotel. For more information, you can contact the Downtown Paso Robles Main Street Association office at 805-238-4103.